The boys are joined by Comedian and Musician Harper Liles do discuss The Masks, an iconic episode of The Twilight Zone and the only one to be directed by a real live woman! Brandon talks to friend and comedian Coury Brown about a little known right that every jury member has. Can one person really defeat the system? Today Brandon talks about his journey through the world of ”conspiracy theory” and some creepy facts obscured by whacky stories. Today Brandon Covers his blog post about how school makes us less free and then gives a quick update to the situation in Syria involving U.S. troops. The first in a series of podcasts with corresponding blog posts pointing out the everyday loss of freedom in the United States. 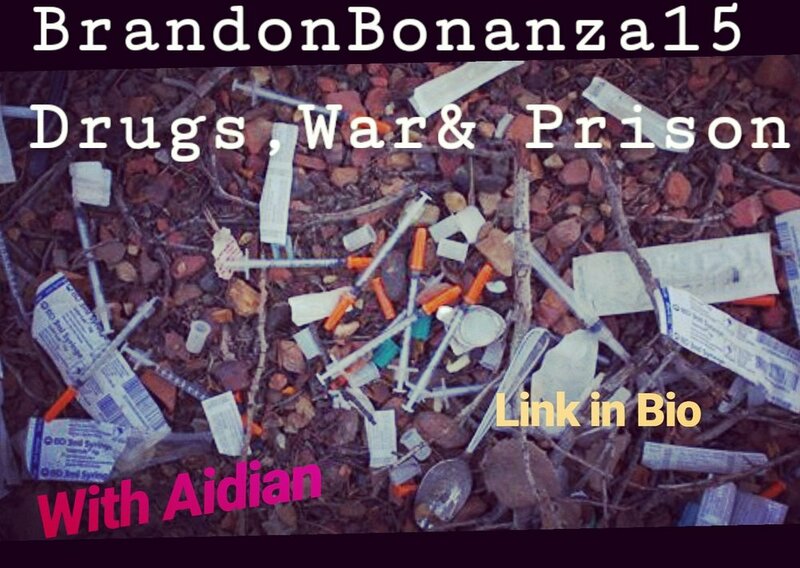 In this episode Brandon talks about how war makes our society less free. Aidian is back with Brandon and they talk about all kinds of stuff pertaining to our government. and attempt to discuss solutions. What do you think? Brandon is joined today by his friend, fellow DJ & father: Brandon Blain for some "Brandon Squared" action. They talk fatherhood, schooling and more. Comedians Peter Angelo & Pat Oates Join Brandon today for a chat before they recorded an episode of Pat's Podcast which you can find here: (Pat Oates is Sad Podcast #149). Today I am joined by my long time friend Joel and we talk about simple steps anyone can take to be prepared for an emergency in the year 2018. Power outage, natural disaster, terror attack... What would you do? Musician, Actor, Comedian, Harper Liles joins Brandon today. They talk about her travels, Colorado before & after legal weed, the need to be on a stage and more. Brandon Bonanza 0007: Why War? I am joined once again by my friend Aidian Field and we waste no time jumping right into the topic of war. Comedian/Podcaster/Author Pat Oates (PatOates.com) returns to talk about how random comedians hit him up and ask for comedy advice & critiques of their material.